City DPRD's Commission A wants additional closed circuit television (CCTV) to be added in the capital.
" But if they want to be Safe City, they must have 70,000 units"
City DPRD's Commission A Secretary, Syarief stated, ideally, there must be 70,000 CCTVs but in fact there are only 7,000. "There must be additional 100-200 CCTVs next year. It must be budgeted, before Banggar, the amount of the budget must be final," expressed Syarif, at City Council building, Wednesday (10/24). Jakarta must be able to grow or rise to the class, no longer Smart City but becomes Safe City. "Smart City with 6,000 CCTVs are still worth it. But if they want to be Safe City, they must have 70,000 units," he stressed. His party is supporting Jakarta Smart City's plan to add CCTV by involving the private buildings that have CCTV. "We agree, that is to decrease the budget burden, as if we spend alone, it will spend Rp 3 trillion. Private assistance can save us money," he told. 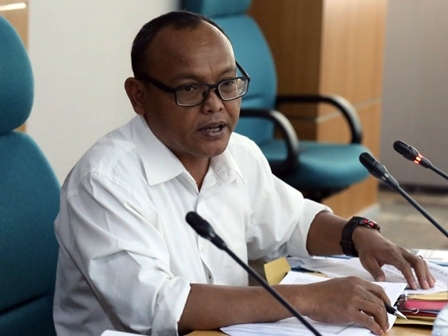 Jakarta Smart City Technical Unit Head, Setiaji promised to follow up on directions at a joint meeting along with Commission A relating to the additional CCTV and its management is by Jakarta Provincial Government. "We'll optimize the procurement of CCTV, including the effort to collect the building owner," he said. In the next meeting, the commission A, Jakarta Smart City, Investment and One-Stop Integrated Service (PTSP) Dept. will meet to discuss the private party obligations to be able to contribute in the form of CCTV access to the city. "Access from the building owner will add monitoring points, the rest can be covered with CCTV owned by the city," he said.